There is a common problem with people wanting to blame the courts. I am speaking here only related to Eviction Courts. The other courts well who knows. I recently received a comment question and the following is the commen and then my reply. Comment: My tenant has not paid rent from April to July, for four months, and he always came out with stories and excuses. I was too nice to allow him delate month by month, hoping he is a nice guy who will take his responsibility. Now he still does not want to pay me. I delivered (in person) my three day to vacate to him on last Thursday, July 11. But he is getting ready to move out (he said he would move out by July 31); although I intended to file the eviction suit, my main concern is to get the rent. So since he will move out anyway, will it still make sense to go ahead filing the eviction suit against him? Will that be helpful for me to get my money from him eventually even after he leaves my house? Can I trust the peace court to really do the job for citizens? Yes Jialie the court will do it’s job for the citizens, but there are laws, rules and common sense and if you do not follow the laws, rules and common sense the problem is not with the courts justice, the problem is with the citizen. To be bluntly honest being too soft is not good business. You have to remember this is a business and you must run it like a business. You said that you waited too long to take action, this was your major down fall. Once you have given the tenant a notice to vacate and they vacate there really is nothing left for the courts to do. 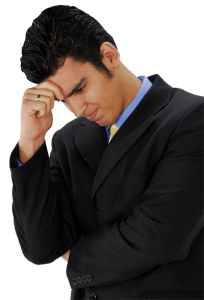 It’s fine to give the tenant a vacate notice right when they are first delinquent and they leave, but when you wait months before doing it, your losses are too great. Yes you waited too long and the tenant left so there is nothing more the courts can do to bring you justice and get you the money from the eviction courts. If you want your money then you will attempt to file a civil suit for breaking your lease. Your chances to get a judgment for an eviction are behind and the court can not help you. If you would have filed the eviction while the tenant was in your house then the courts would have helped you and do the right job for the citizen. So basically you will not get what you want with an eviction because there is no one to evict now. So it’s not the courts fault its the fault of the citizen. I have always seen that the courts are fair to the landlord and they have done a good job for the citizen. On a rare occasion I have thought it wasn’t fair, but the problem then was the landlord just did not follow proper procedure and the courts could not rule in his favor. Education is the big salvation here. So don’t blame the courts you waited too long. The courts would have had a judgment and you could have collected that judgment if you would have done it right.